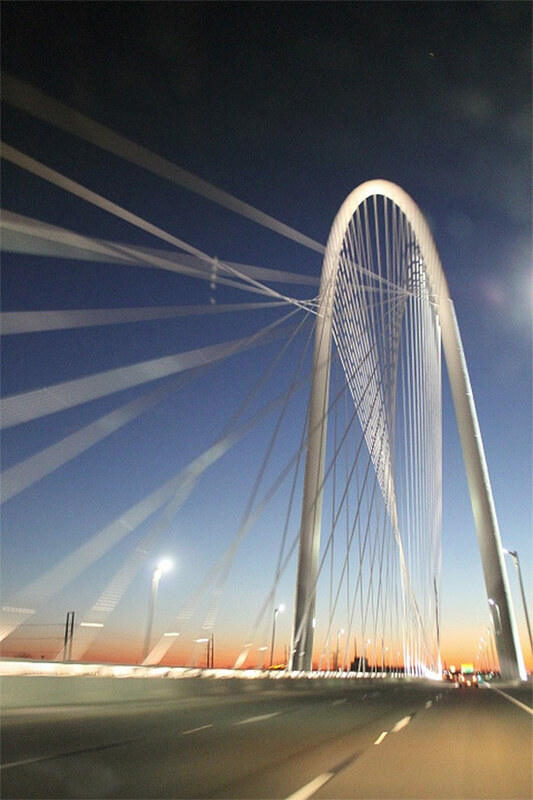 It’s been nearly a year since the Santiago Calatrava-designed Margaret Hunt Hill Bridge opened in Dallas. Part of an overarching plan to redevelop the banks of the Trinity River, the cable-stayed bridge’s 400-foot-tall central arch pylon has given the Big-D a much-needed civic icon in the otherwise flat and uninhabited swath that the watercourse cuts through the urban fabric. 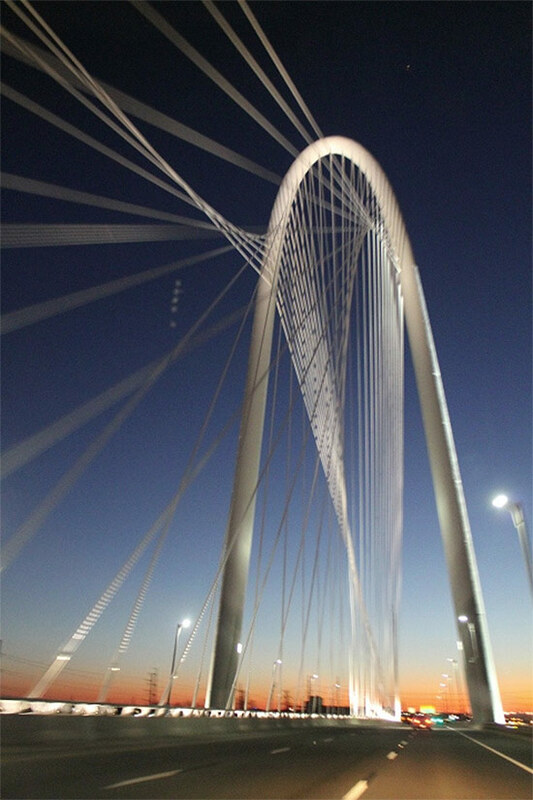 These photos, taken by budding young photographer Halle Darling-Menking, convey something of the motion and excitement motorists experience while traversing the span. The lines of the cables seem to warp and flex, the arch itself to deflect and lean. Fans of the crossing now have something more to cheer about. 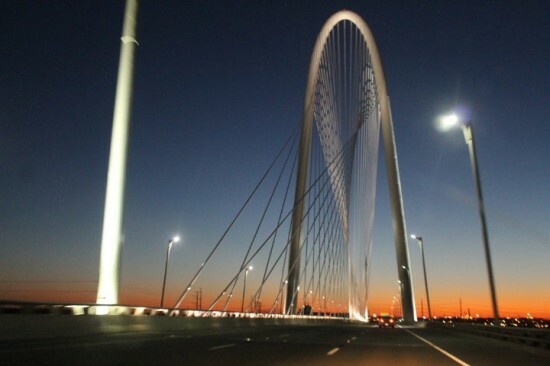 In January, the Dallas City Council approved funding for a second Calatrava-designed bridge across the Trinity, this one expected to cost $115 million. The second bridge, to be known as the Margaret McDermott Bridge, will replace the current Interstate 30 span. It features two arches running parallel to the span supporting pedestrian and bike paths. Construction will begin this spring and completion is expected by May 2017.